Cinnamon rolls are pretty much the ultimate comfort food! They smell incredible, they taste like heaven, and they make everyone happy. Unfortunately, they were also on my "can't make this successfully to save my life" list until recently. No matter whose amazing passed-down-for-twelve-generations family recipe I was using, they just didn't turn out. They were dry, or didn't have enough cinnamon sugar, or used a shocking amount of butter... not to mention that every. single. batch. seemed to stick to the pan horribly. Argh! And then I found this recipe, and (miraculously!) they worked the first time I made them. And not just worked... they were totally awesome! The kids loved them, Geoff loved them, and I was so impressed with myself for finally conquering another kitchen hurdle. 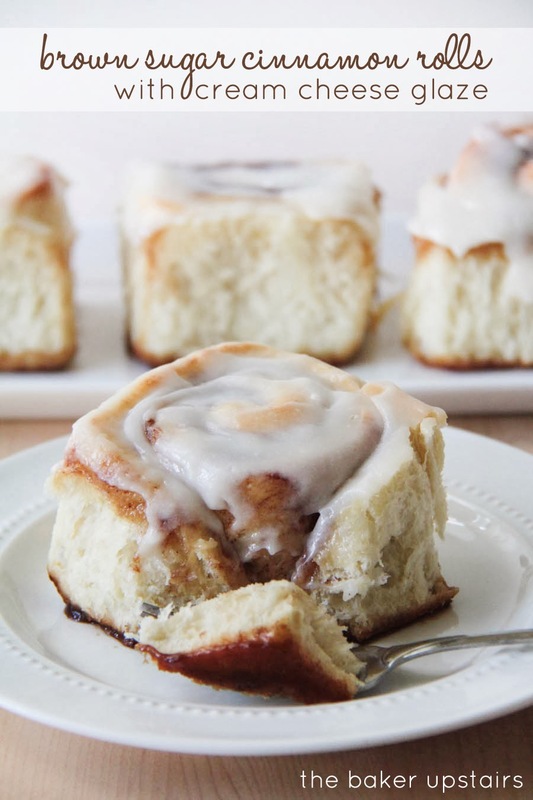 Cinnamon rolls for the win! I think lining the pan with parchment paper made a huge difference. It made them so easy to lift out and (best of all!) there was no sticky burned sugar stuck in the bottom of the pan. Just delicious, perfect rolls! All I can say is yum. And that I'm going to be making these again (and again and again...). 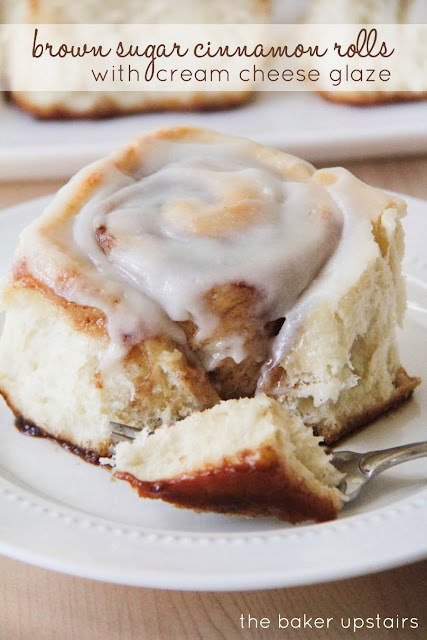 Happy cinnamon rolls to you as well! Combine the buttermilk and butter in a measuring cup. In a large bowl or the bowl of a stand mixer, combine the flour, sugar, yeast, and salt. With the mixer on low speed, add the buttermilk mixture and eggs, and mix until the dough comes together. Knead until smooth and elastic. If the dough is too stick add more flour, 1 tablespoon at a time, until the dough pulls away from the sides of the bowl and is slightly sticky to the touch. Cover and let rise 2 - 2 1/2 hours, or until doubled in size. When the dough has risen, grease or line with parchment paper a 9 x 13 baking dish. Punch the dough down and press it into a 12 x 16 inch rectangle. 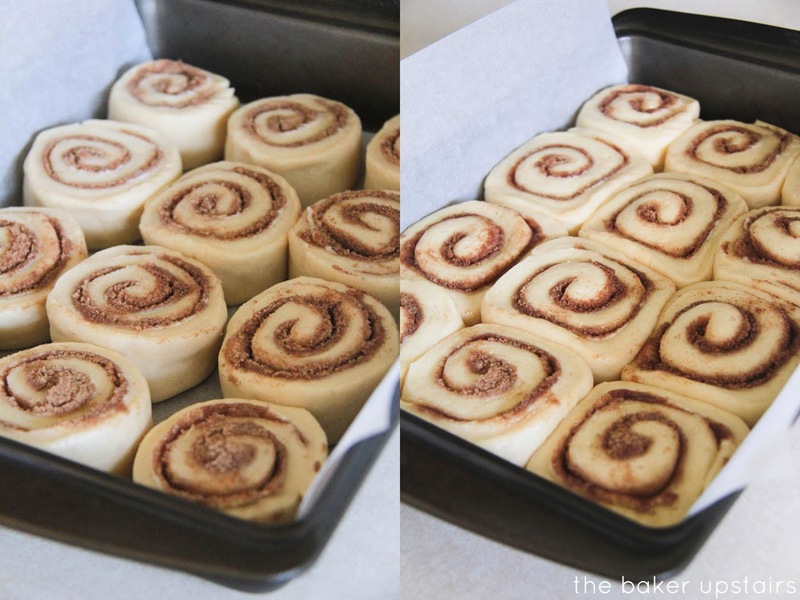 Brush the 1/2 cup butter over the dough, leaving a 1/2 inch border on all sides. Sprinkle the brown sugar and cinnamon over the dough, pushing the sugar mixture gently into the dough with your hands. Roll the dough into a tight log, seam side down. Cut the dough into twelve even sized rolls using a serrated knife. Place cut side down in prepared baking dish. Cover and let rise 1 - 1 1/2 hours, until doubled. How yummy do these sound!! It's so exciting to finally get a recipe right! And what a great end result, cinnamon rolls are the best! These look unreal, and your photos are gorgeous! I would love to try this recipe, but have one question, is possible to leave them overnight to rise? If so would I do that after the first rise? I would put them in the fridge overnight just before the second rise, then pull them out in the morning and let them rise a little on a warm oven. Usually my rolls only need 30-60 minutes to rise if they've been in the fridge overnight. Hope that works for you!